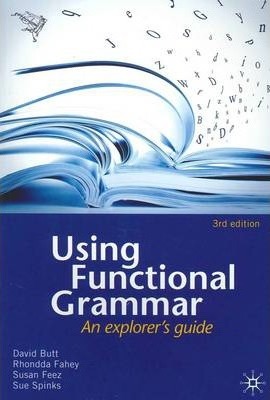 Using Functional Grammar: An explorerâ€™s guide, now to be published in a revised 3rd edition, is an invaluable resource for students and teachers of English as a first, second or foreign language. This third edition includes a new opening chapter covering some basic concepts of traditional grammar for those who have either forgotten what they learned in the past or who have never had the opportunity to gain the elementary knowledge of such things as word classes and basic sentence or clause structures. From there, this new edition, as with its predecessors, introduces the general notion of language in context and text types, before progressing to a step-by-step exploration of the three metafunctions of language: experience, interpersonal exchange and textual organisation. The two final chapters, new to this edition, concentrate on practical applications of functional grammar theory for language education, analysis of multimodality in texts, literature, and professional contexts such as psychotherapy.